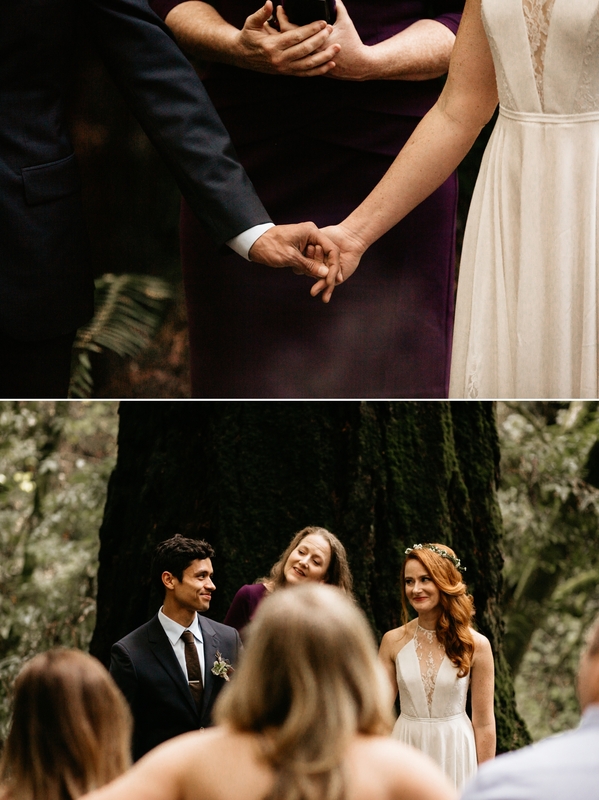 Nothing about Sarah and Alex’s ceremony went as originally planned. 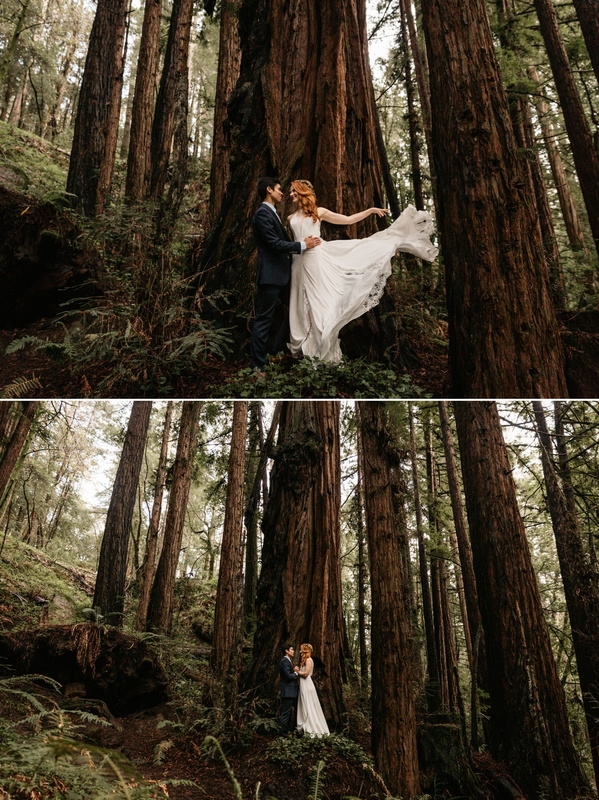 Sarah dreamed of exchanging vows in the enchanting forest of Limekiln State Park where Alex proposed. 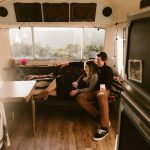 They booked camping spots 6 months ahead of time for their 10 closest friends to join them. 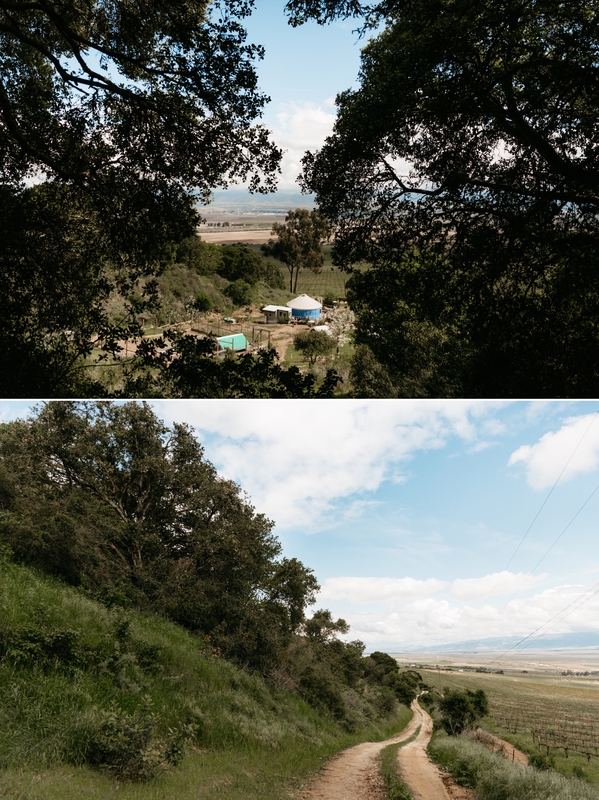 But a month before their date, we realized the landslides and park closures in Big Sur were a looming cloud on our plans. After Pfeiffer Bridge collapsed, we were certain Highway 1 would not be re-opening to the public any time soon. 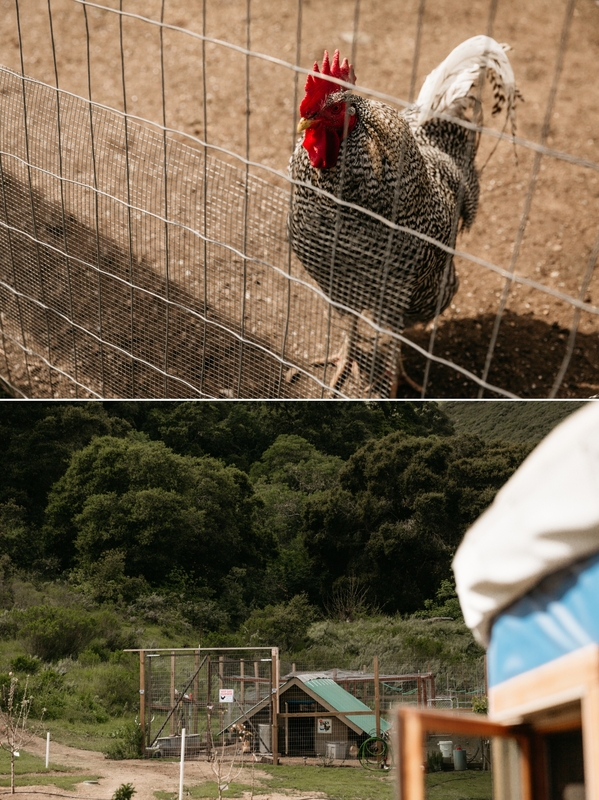 It was disheartening to give up Big Sur, but everything seemed to fall into place the way it was supposed to. 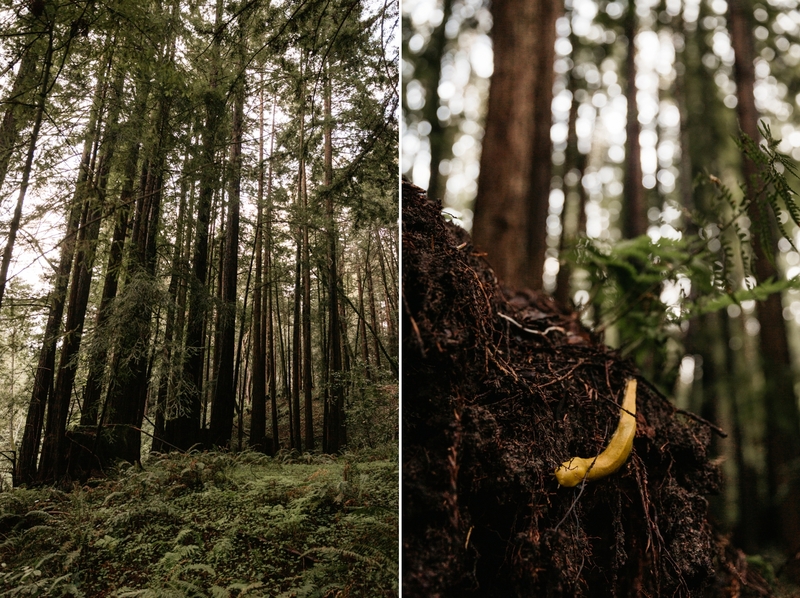 I did some long distance research on look-alike forests and recommended Nisene Marks in Santa Cruz. 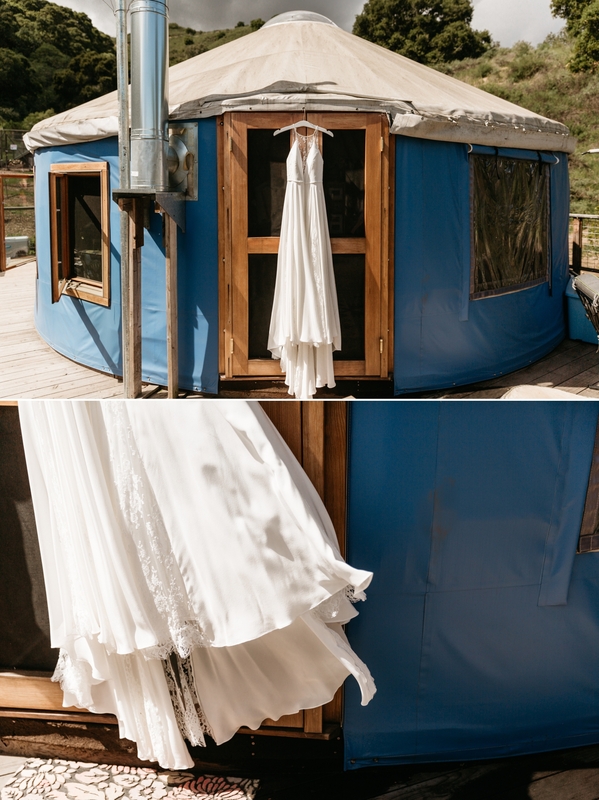 Sarah found an amazing yurt set above beautiful vineyards near Carmel to accommodate everyone. 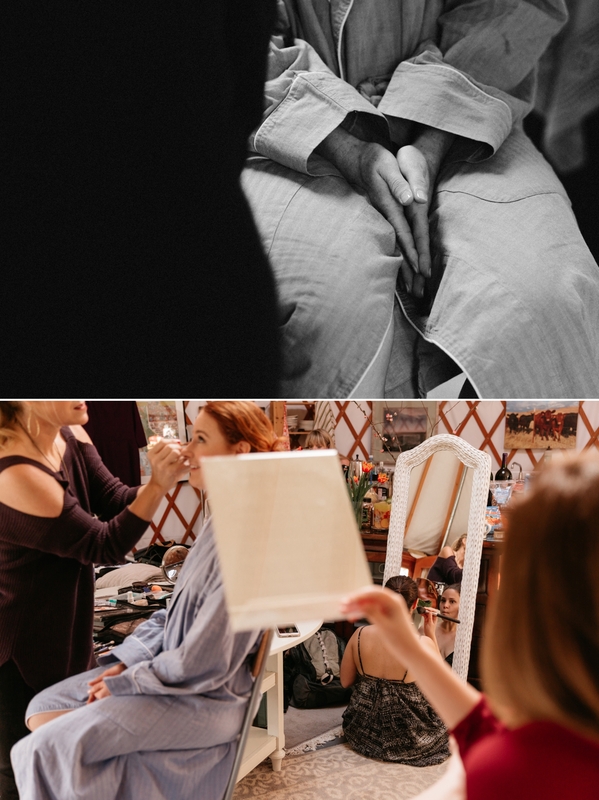 She was also able to get an incredible hair and make up artist willing to make the drive out last minute. 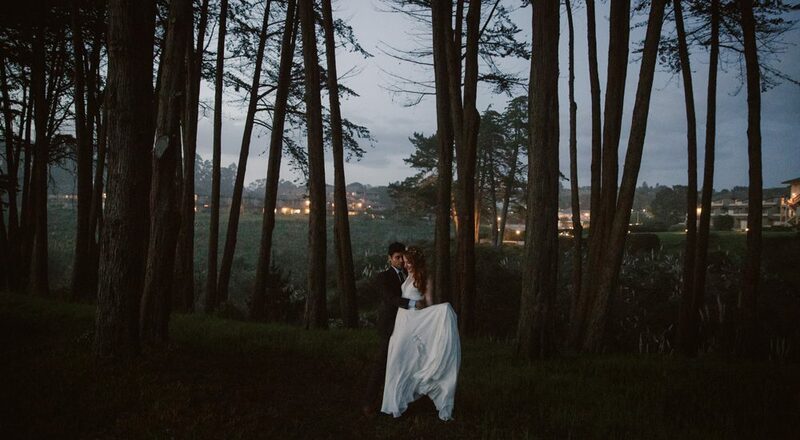 Alex and Sarah didn’t plan the details of their ceremony until they arrived in California. 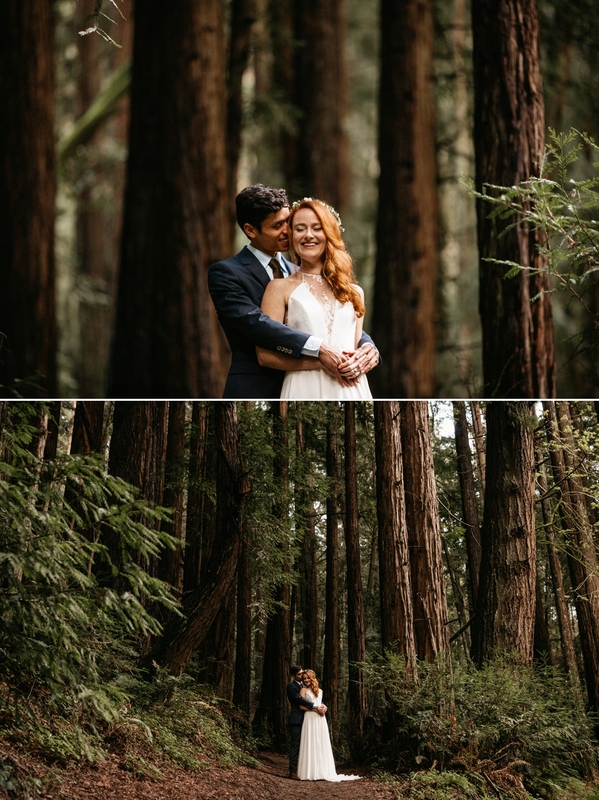 Together, they scouted a spot in the forest a couple of days ahead of time, which turned out to be even more beautiful in person. 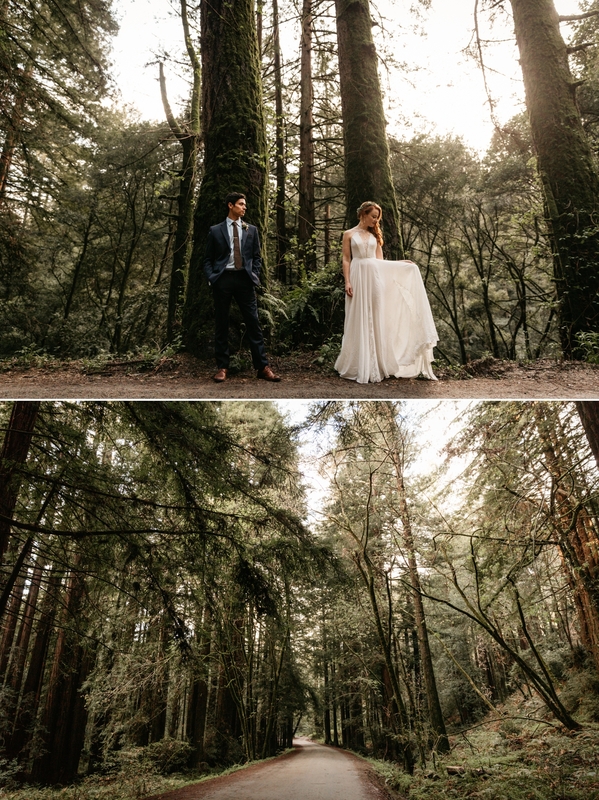 They found a clearing within a circle of trees to use as the alter. 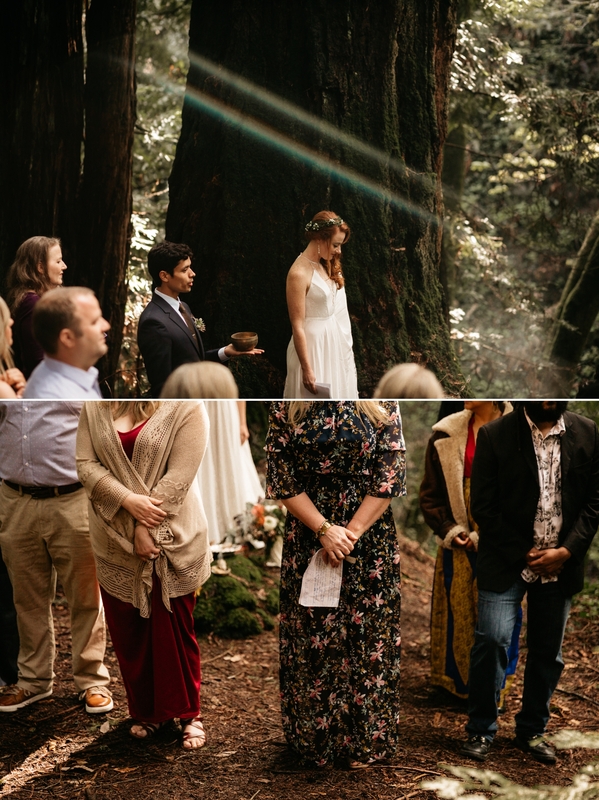 Sarah emailed everyone about a month beforehand, requesting they all be an equally important part of the ceremony instead of having one officiant. 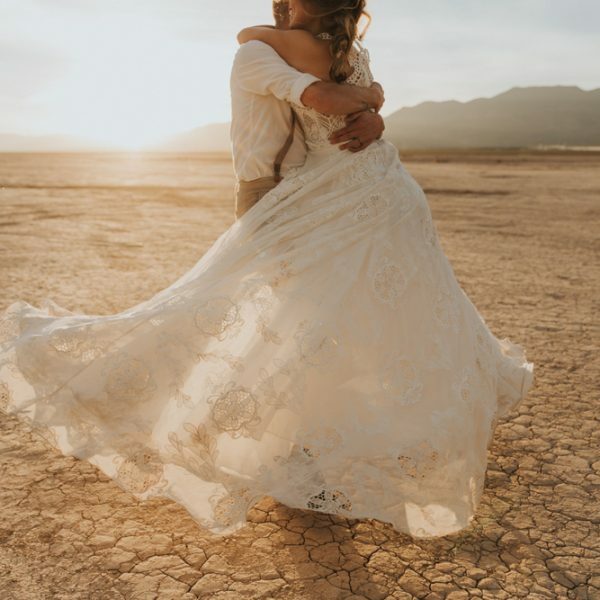 She asked them to incorporate a piece of themselves or their own faith by offering a blessing, joke, poem, song, or dance to share with the group. The day of the ceremony was so relaxed. I arrived to the yurt in the late morning to capture the quiet ritual of preparation. 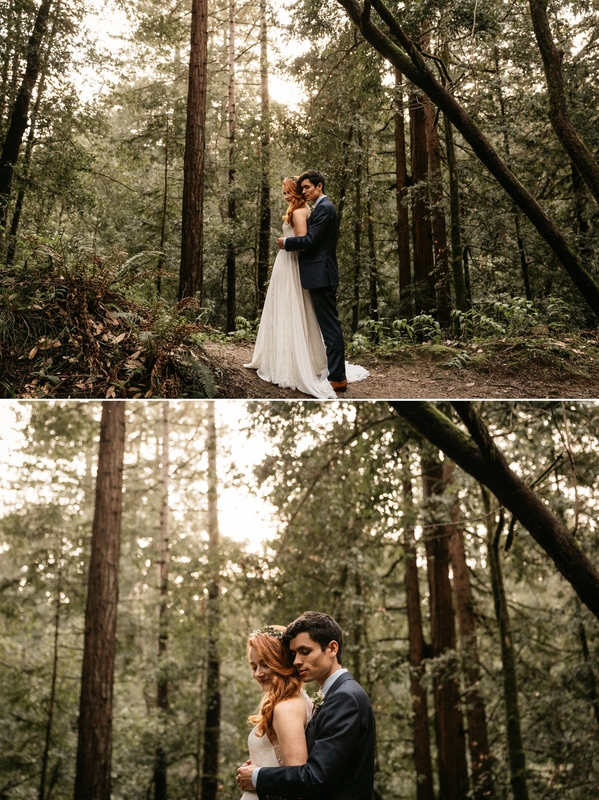 In a secluded grove at the top of the hill, Sarah and Alex shared a moment of meditation following their first look. Then we all piled into the cars to caravan our way up to the redwood giants in Aptos. 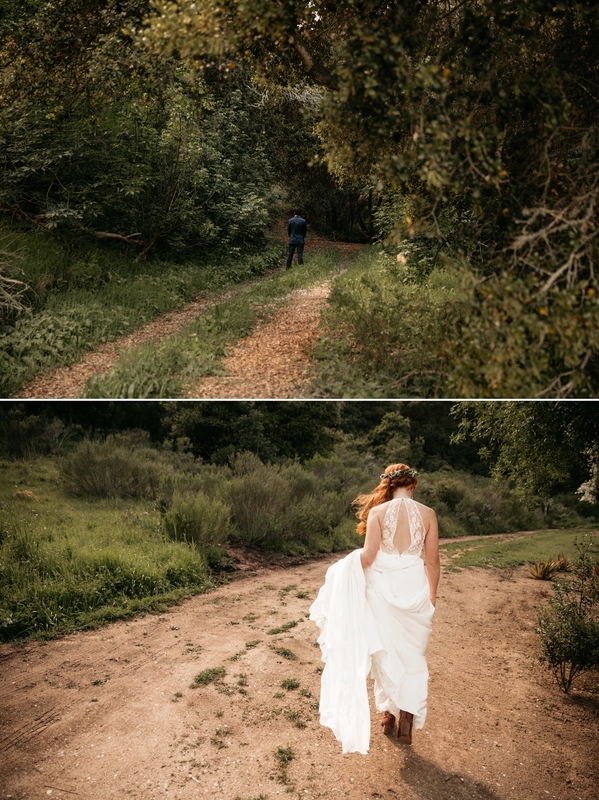 Alex and Sarah arrived at the site early to set up the alter and create the space. 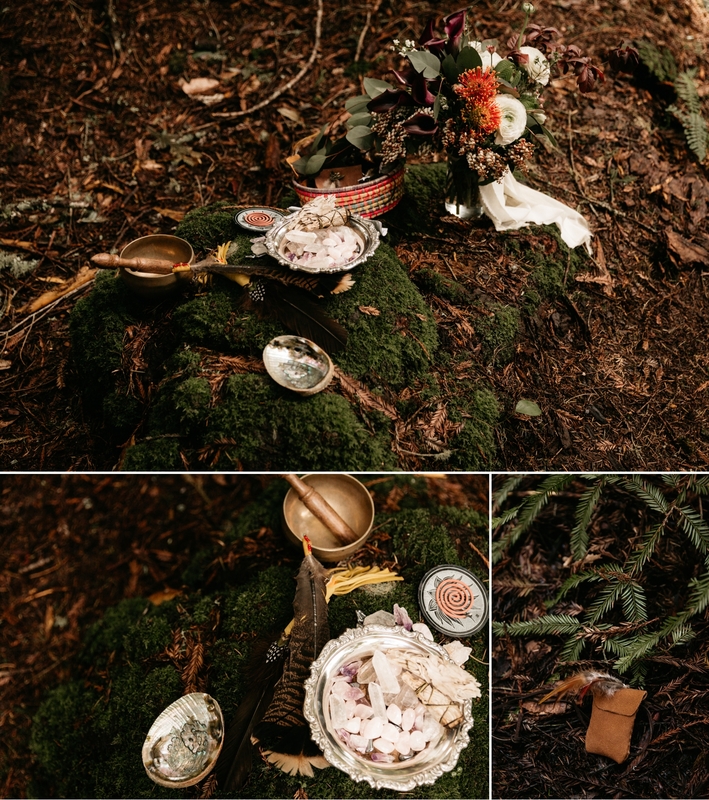 They brought incense, sage, a metal singing bowl from Nepal, a feather (for saving), a bowl of crystals for the alter, and a few gifted objects they wanted to soak up the energy of the ceremony. As everyone filed in, Sarah and Alex asked them to form a circle. 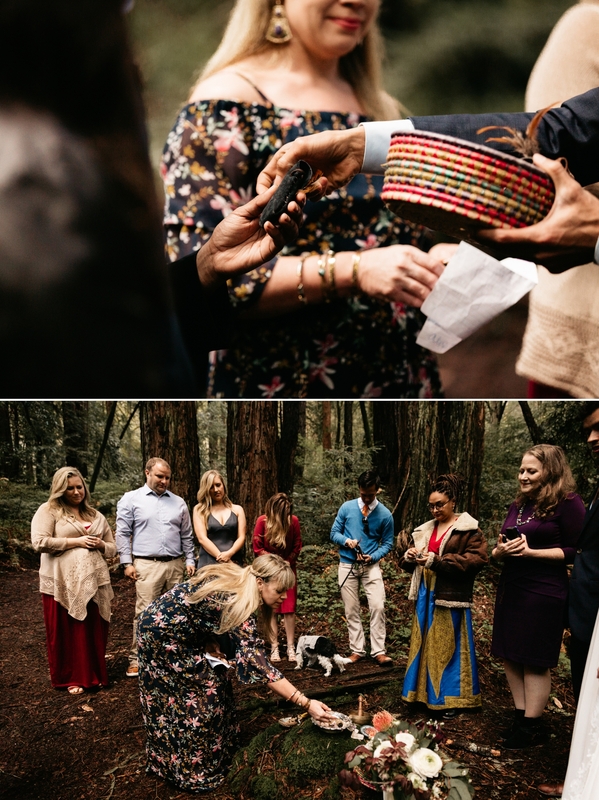 They began the ceremony by purifying everyone with sage and anointing them with frankincense, giving them the opportunity to make eye contact and connect with each person present. 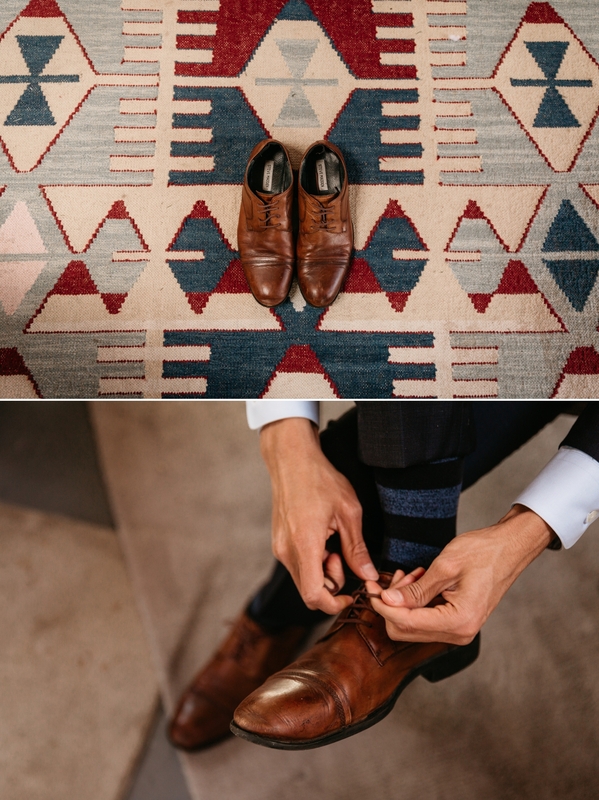 Alex grew up participating in different types of spiritual ceremonies and opened with a prayer to the 4 directions, the same way his mom does. Then the floor was open to anyone who wanted to share their contribution. Everyone had such wonderful things to say that may or may not have resulted in tears. Sarah’s mom read a poem sent on behalf of Alex’s parents and surprised them by singing a song she felt a deep connection with. Alex and Sarah said their vows and passed out homemade medicine bags. They closed the ceremony with a meditation for everyone to radiate the feeling of unconditional love in the circle. When they were ready, Sarah invited each person to pick out a few crystals bathed in this loving meditation to add to their medicine bag. 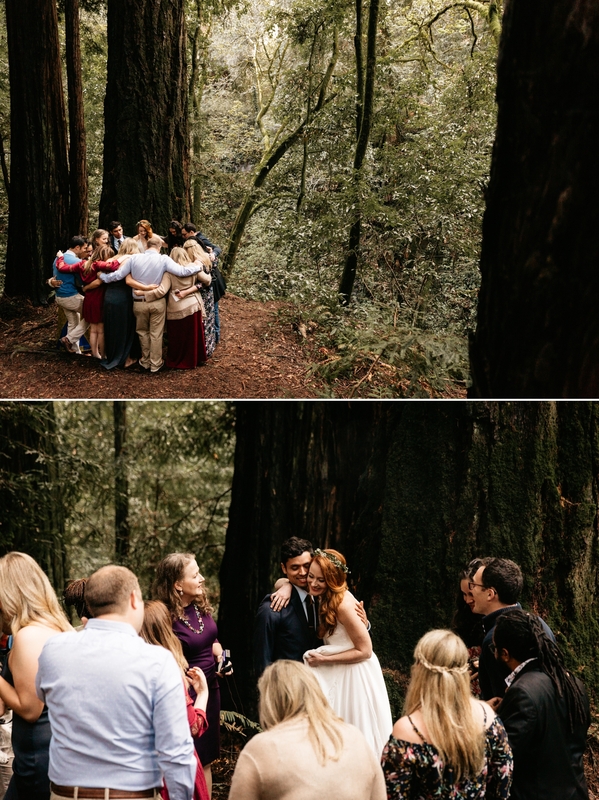 They sealed the ceremony with a group hug and sang Longtime Sun (a kundalini closing). 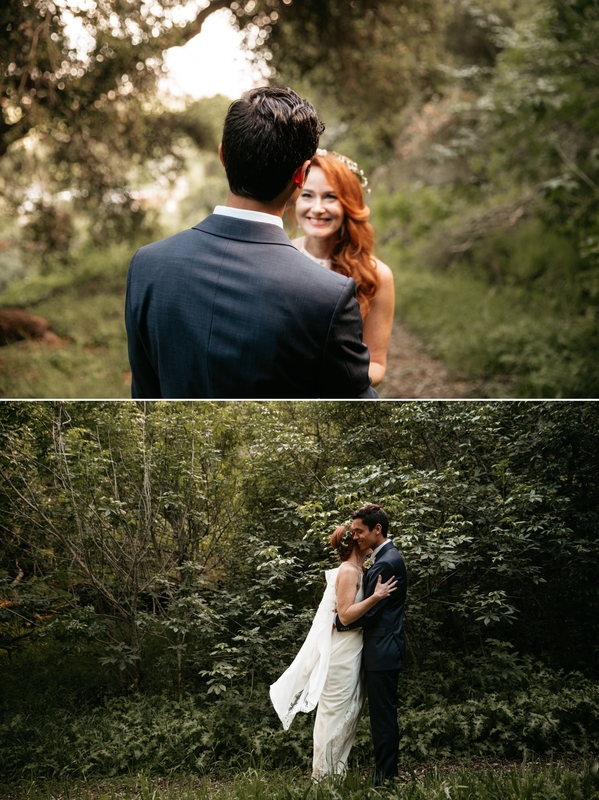 We parted ways with the group to spend the rest of the evening frolicking in the lush green woods and glowing coast for their portraits. 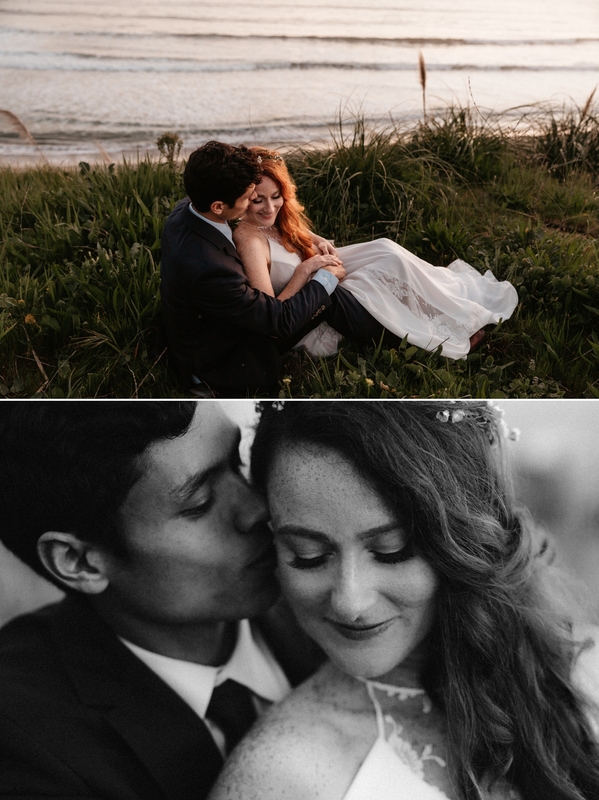 In Sarah’s words: “I couldn’t have ask for anything more. It was only loosely planned and perfect. 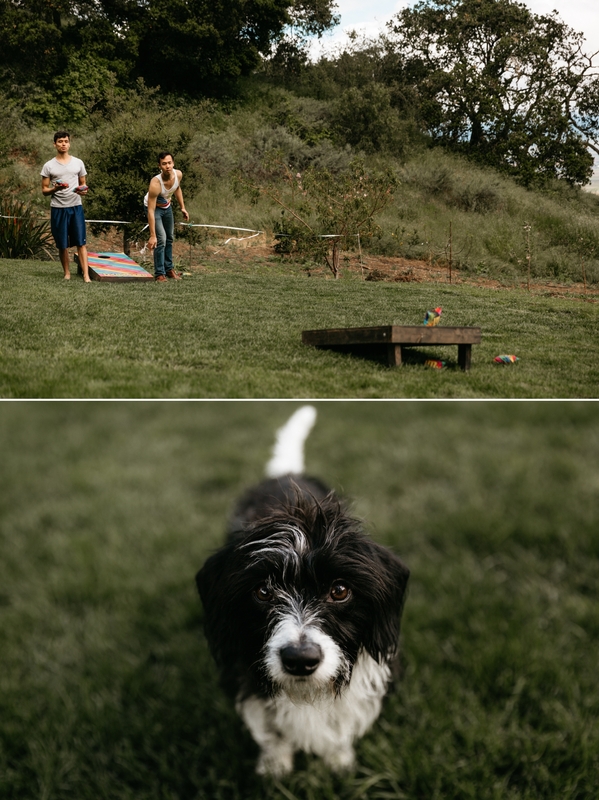 Leaving things open and going with the flow helped us to stay relaxed and in the moment. 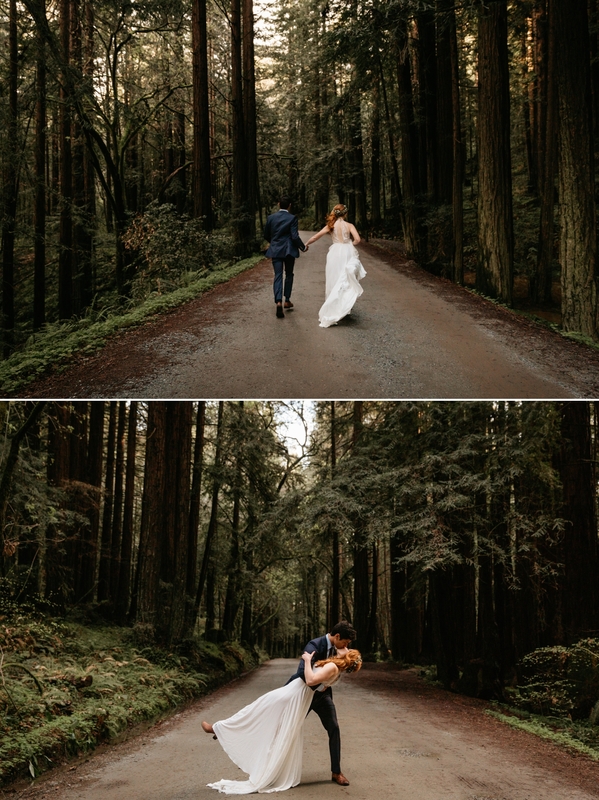 We were so wrapped up in our ceremony, we decided to drop our plan to do portraits in Carmel. We literally pulled over at the first coast we could find. 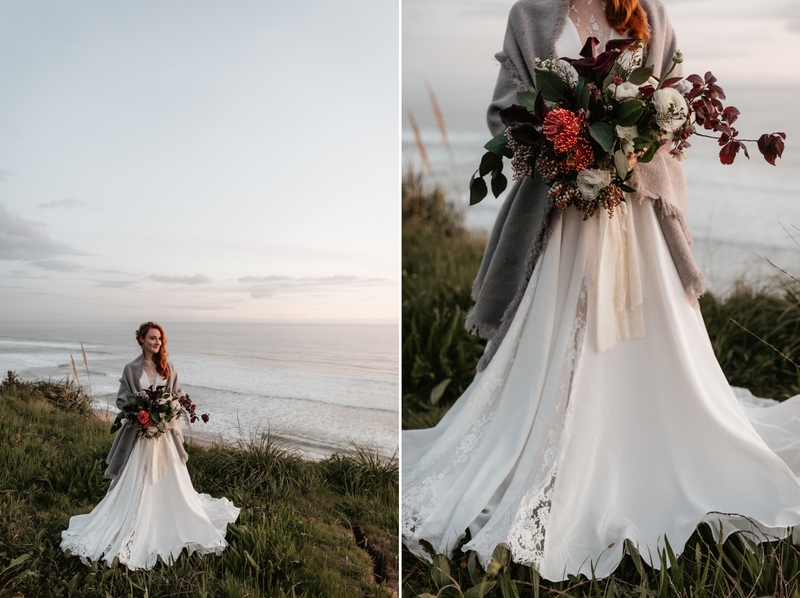 And she strikes again with another beautiful wedding post! This looks like it was such a fun time. 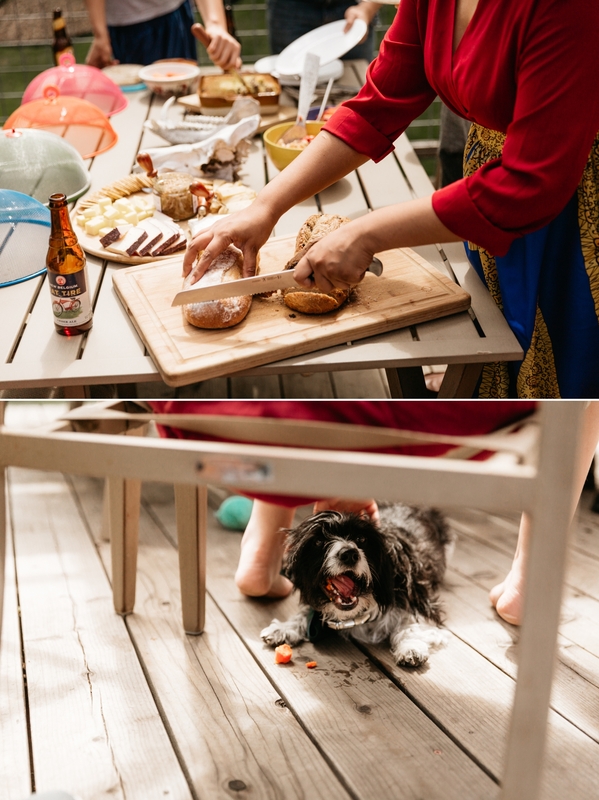 8 love all the shots of the party details... like the pup 😍!! 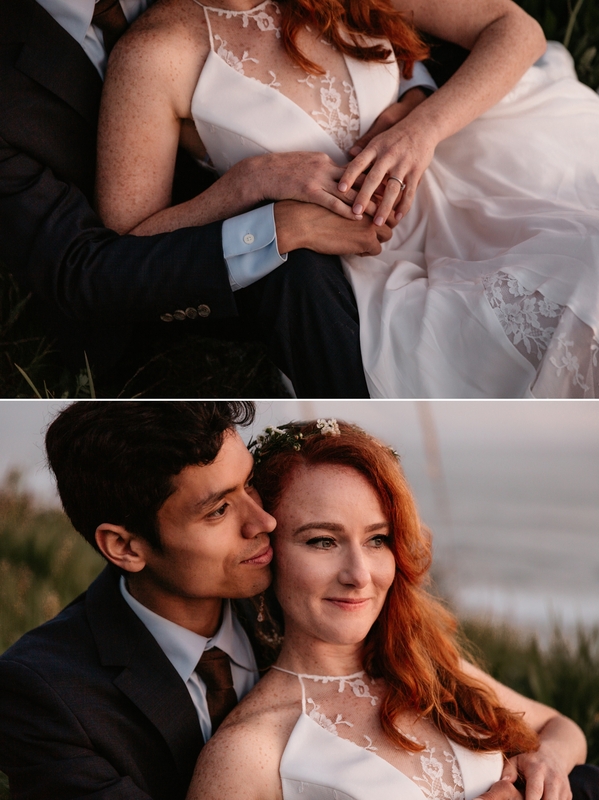 This day and wedding wouldn't have been half as magical without you! 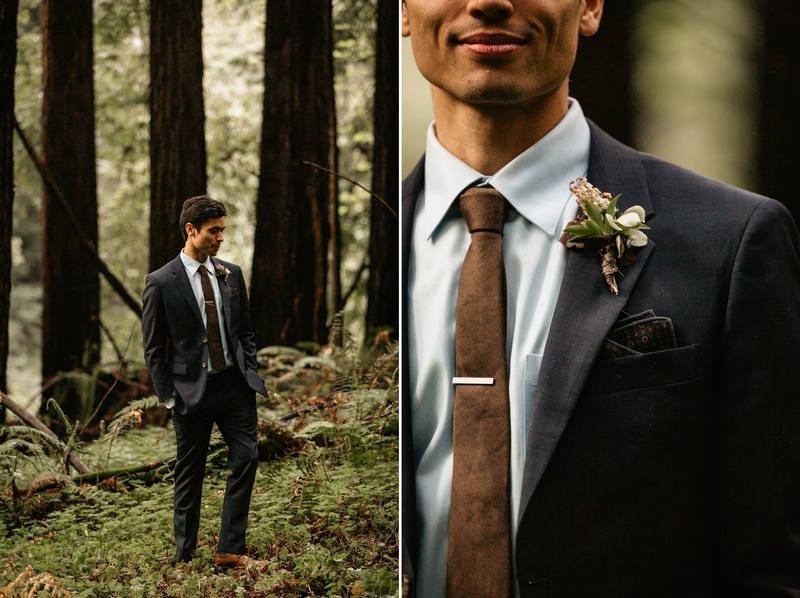 Your calm spirit and incredible artistic eye gave us the best memories of our special day. I can't stop recommending you to everyone I come in contact with! Absolutely gorgeous. Where was their reception? 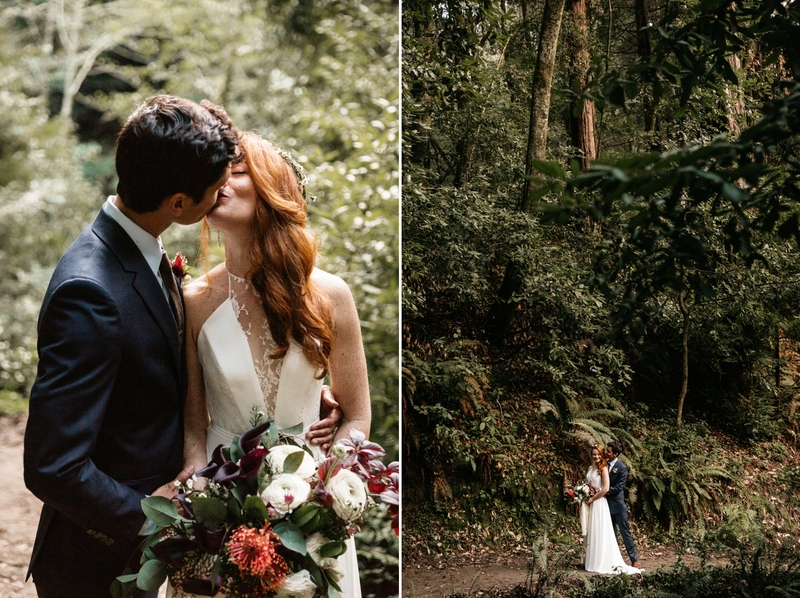 This looks perfect, I’d love recommendations for my own wedding! 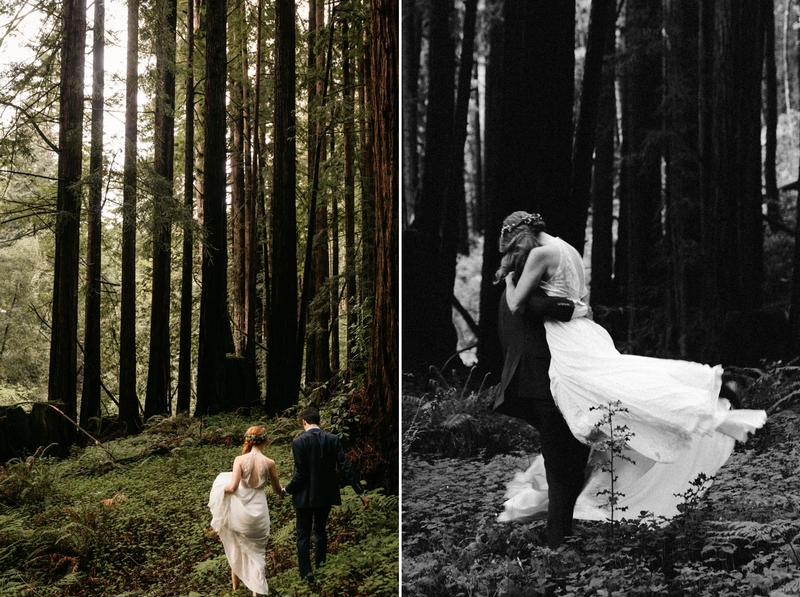 I'm in the throes of wedding planning and I'm loving this idea so much! 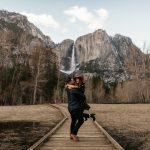 Do you know if they had to reserve the specific area for their wedding? The best way to start would be to get in touch with the rangers at this park! You will need a permit- not sure how much but they usually aren't crazy. 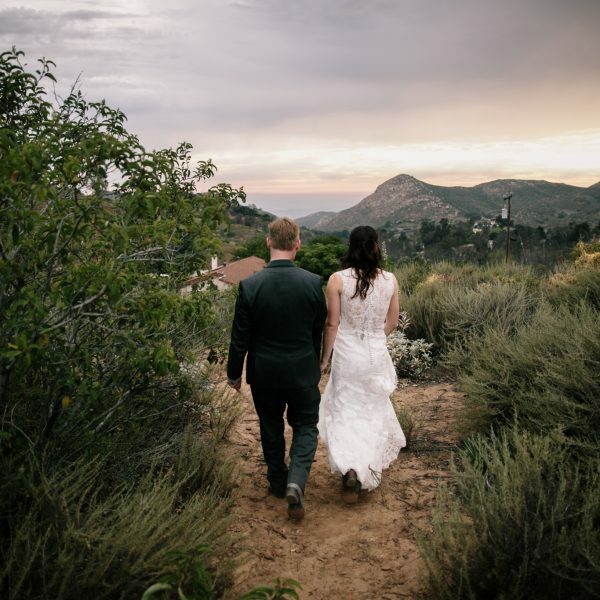 The park also has specific guidelines for weddings and are pretty strict on guest limits- I believe this works best with minimal decor and under 20-30 guests!